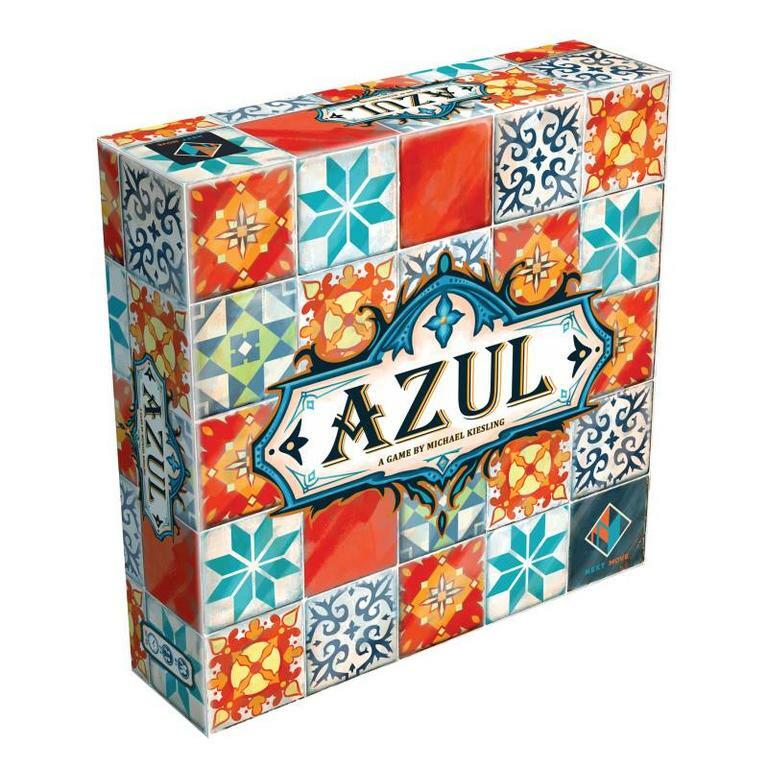 Azul captures the beautiful aesthetics of Moorish art in a contemporary board game. Players compete as artisans decorating the walls of the Royal Palace of Evora. 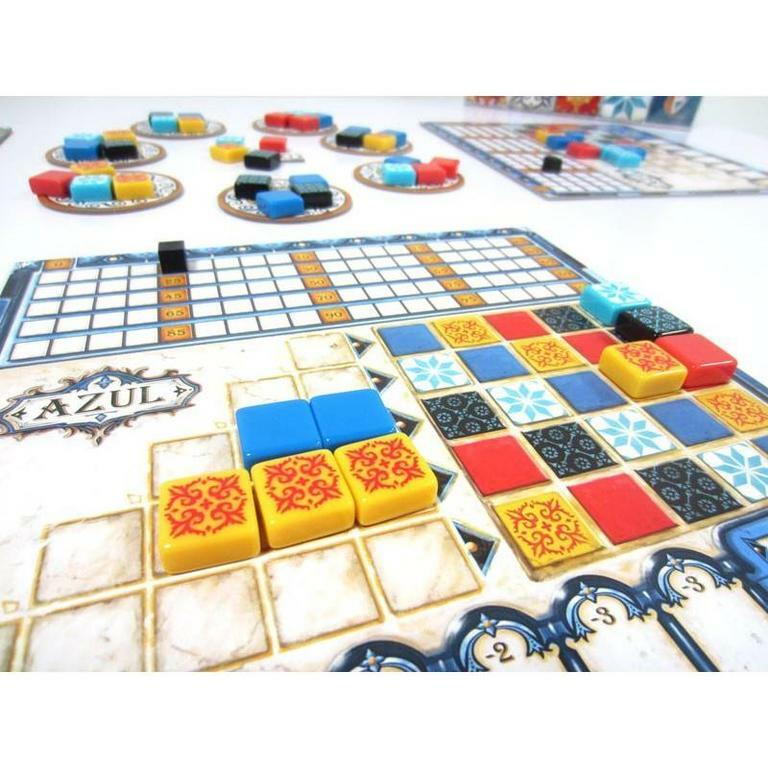 Introduced by the Moors, azulejos (originally white and blue ceramic tiles) were fully embraced by the Portuguese, when their King Manuel I, on a visit to the Alhambra palace in Southern Spain, was mesmerized by the stunning beauty of the Moorish decorative tiles. The king, awestruck by the interior beauty of the Alhambra, immediately ordered that his own palace in Portugal be decorated with similar wall tiles. 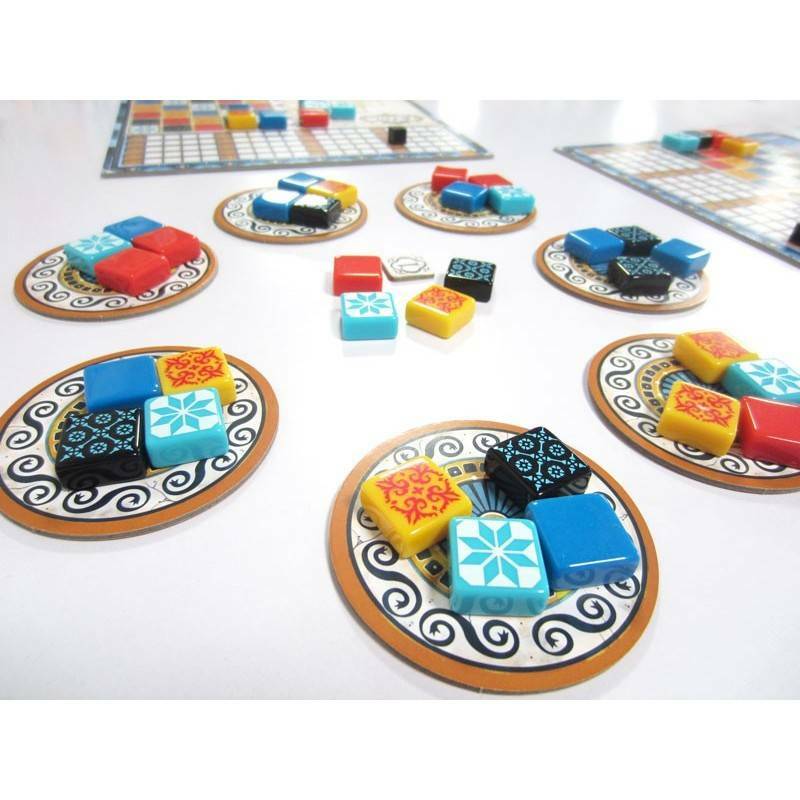 Azul is suited for 2-4 artisans, ages 8+. 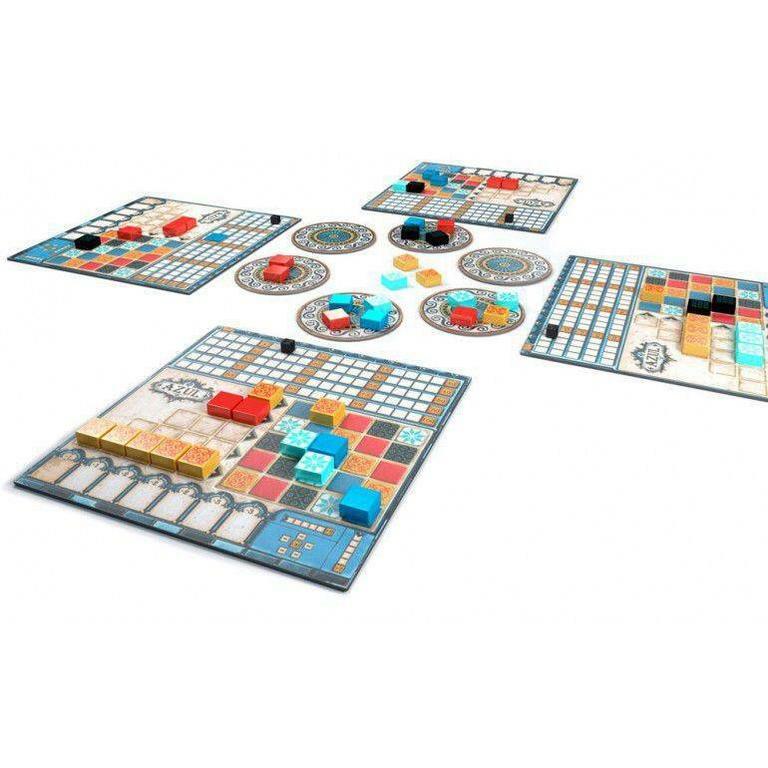 While the actual decoration of the Royal Palace of Evora took many years, we expect a game of Azul to last 30-40 minutes.